The staffing industry is on track to generate a projected $137 billion in North America alone in 2014. Express Employment Professionals is a growing franchise with nearly 700 locations and more than 30 years of experience. Our start-up offices average more than $700,000 in sales in their first year, with mature offices averaging $5.16 million annually. * As an Express franchise owner, you control your life with flexible weekday hours in a professional business. In 2014, Express Employment Professionals is giving a $31K kickstart for new franchise locations awarded before June 30, 2014. The staffing industry is booming, and there has never been a better time to join Express. In 2012, the average mature Express franchise territory generated $5.16 million in annual sales. Currently the average start-up offices generated more than $1 million in sales in the first year of operation. Express franchisees paid an effective royalty of just 6.3% of revenue in 2012. 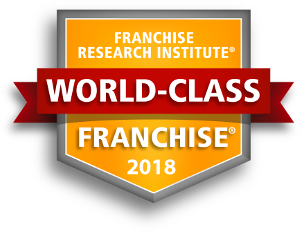 * For franchises open more than two years, average sales per territory in 2013 were $5,157,227 and for first year offices $703,894 according to Item 19 in the Express Franchise Disclosure Document. Express offers new franchise owners the unique chance to build income and equity while helping people grow their careers and impact the local community. It’s a professional business with weekday hours. Individuals with staffing industry experience can also benefit from our “Boost to Ownership” package. Contact us for details. We offer more than just operational support to our franchisees. By providing multi-step marketing campaigns, sales training, and public relations assistance, our franchise owners are able to focus on growing their business. Express also offers annual regional and international live training events, as well as continual learning for staff and owners via our online university. Express offers franchisees two ownership models. The Core Model requires an investment of $105,000 to $140,000 and an active role in new business development by the franchise owner. The Expanded Model requires $150,000 to $195,000 and is formatted so the owner manages a sales staff of two and works with them to develop client relationships. Our franchisees enjoy the opportunity of owning their own business, and a life outside of the office with time to enjoy friends and family.